What would you do with 30% more profit? 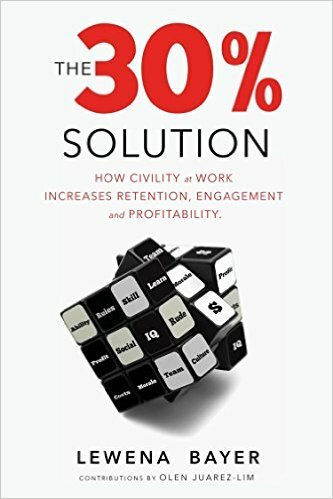 Lew Bayer, internationally recognized as the leading expert on Civility in the Workplace shares insider secrets about how building a culture of civility can increase profitability, increase retention, and build engagement. Using the Civility Competency Matrix and focusing on training in four proven skill areas, you can measure the impact of civility in your organization.